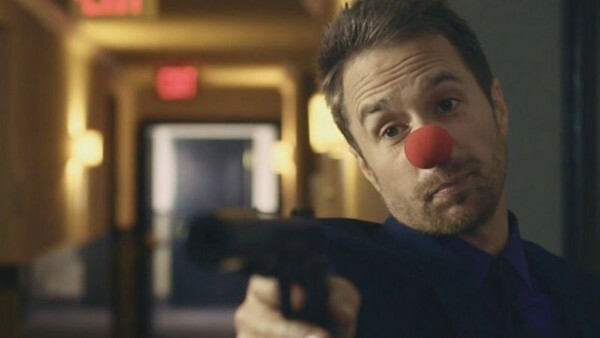 To celebrate the release of Sam Rockwell's new film, Blue Iguana, we've teamed up with Signature Entertainment to give WhatCulture viewers an exclusive look at a clip from the crime caper. Starring a host of British talent alongside Oscar-winner Rockwell (whose performance in Three Billboards Outside Ebbing, Missouri won him a Best Supporting Actor gong), the film follows ex-jailbirds Eddie and Paul as they contemplate the dead ends that their lives have become while working in a New York diner. Then when English lawyer Katherine Rookwood walks into the diner with an offer they can't refuse, everything seems to be coming up roses. Our exclusive clip sees Rockwell and his literal partner in crime, Ben Schwartz (Jean-Ralphio from Parks & Recreation), attempt to rob a mob of gangsters in London’s Natural History Museum, where our old friend Dippy makes an appearance! Blue Iguana is in cinemas and on Digital HD on 5th October and on DVD on 8th October.